Quickly reference each book of the Bible with these Bible indexing tabs. The lined patterns on each tab accentuate your Bible pages while making it easy to flip to the desired book. Use colored pencils or gel pens to add vibrant colors to each Bible tab. 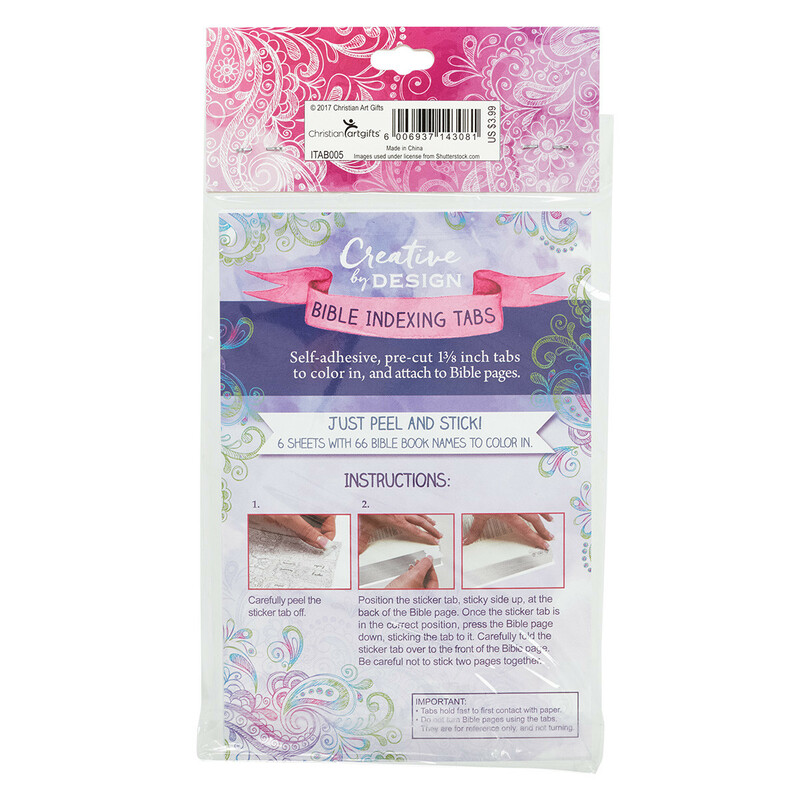 These Bible book tabs are self-adhesive and pre-cut to peel off with ease. Color each tab and place them securely on your Bible pages. 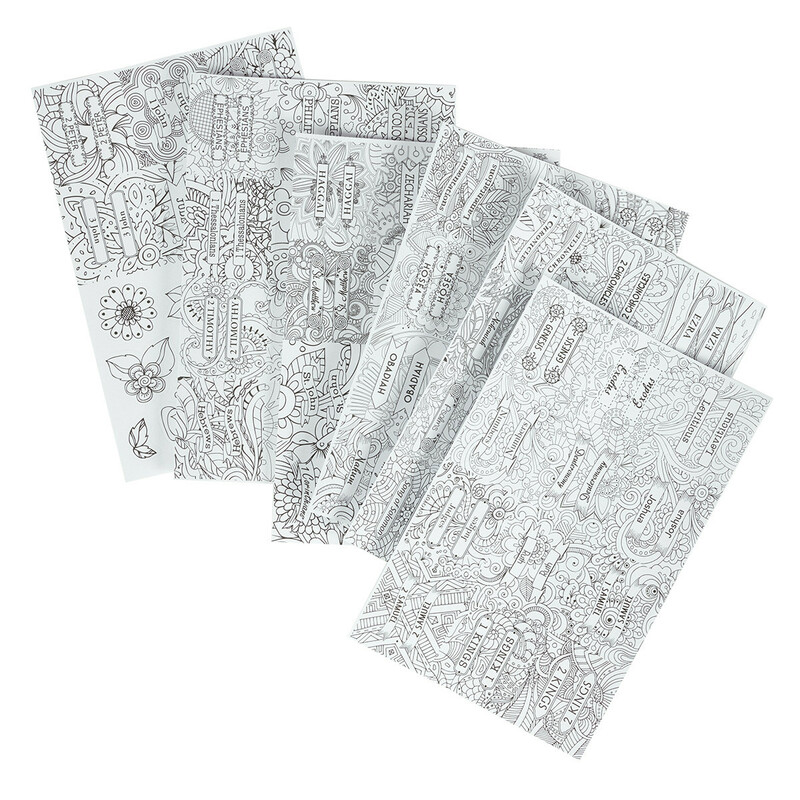 This pack includes 6 sheets with 66 Bible book names. 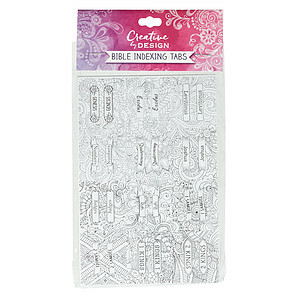 They are ideal for gift-giving along with a journaling Bible and coloring accessories. 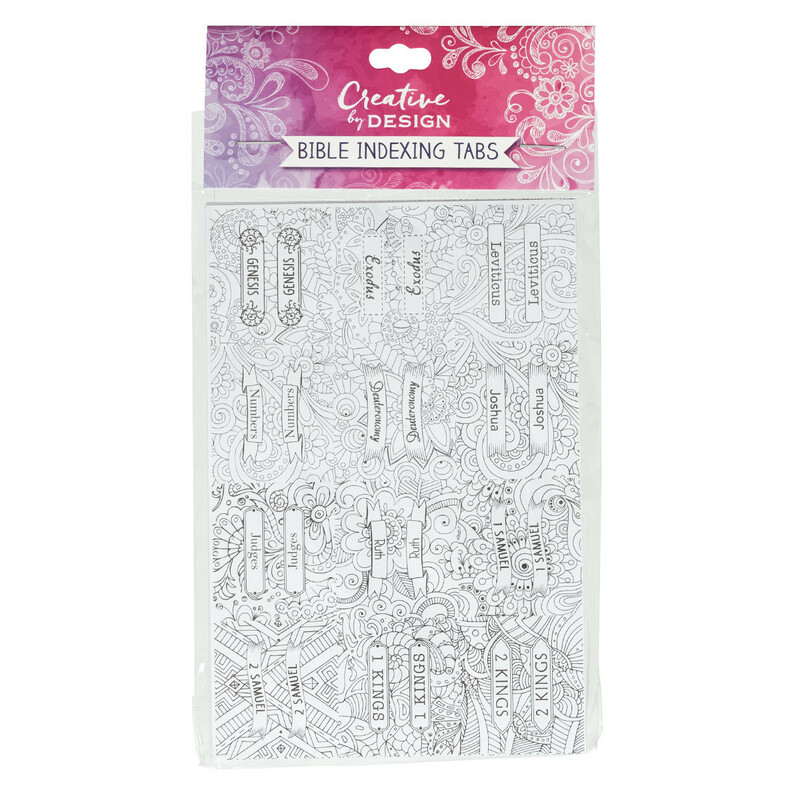 Peel and Stick Coloring Bible Index Tabs by Christian Art Gift was published by Christian Art Gifts, Inc. in December 2017 and is our 8970th best seller. The ISBN for Peel and Stick Coloring Bible Index Tabs is 6006937143081. Be the first to review Peel and Stick Coloring Bible Index Tabs! Got a question? No problem! Just click here to ask us about Peel and Stick Coloring Bible Index Tabs.